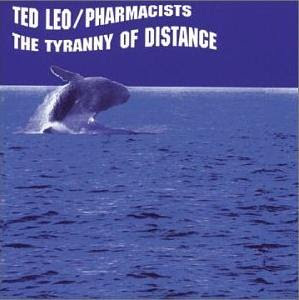 Just got back from the Ted Leo & the Pharmacists show at South Street Seaport. The Screaming Females opened, and while there was only one female in the band, she definitely could scream. She also looked like she was 11. TL/Rx took the stage a little after 7:30 and came sprinting out the gate with "Where Have All the Rude Boys Gone?" After a group of songs ending with one of my favorites, "Bottled in Cork," the band jumped into what would be a complete performance of their album The Tyranny of Distance. They even paused between "Stove by a Whale" and "The Great Communicator" in side A/side B fashion. (Their banter and band introductions in between was referred to as the album skit.) "You Could Die (or This Might End)" finished the set, but the boys came back for an energetic 3-song encore. The High Party / A Bottle of Buckie / Where Was My Brain?